Home » Real Estate » Loan Against Property – Should you opt? A Loan against property (LAP) is becoming popular loan option. A lower interest rate, easy documentation, speedy approval and large cash at disposal are plus points of loan against property which are attracting borrower’s eyes. Many people are considering loan against property as an alternative to a personal loan. If you have big cash requirement, instead of taking a personal loan you should consider an option of loan against property. Here are key features and benefits of loan against property. A loan against property (LAP) as the name suggests it is a loan given by bank against the mortgage of a property. A value of the loan depends on the market value of a property. These types of loans are secured loan as it is given against property. A residential and commercial both properties can be used as a mortgage. LAP is given on freehold property and the owner must have clear title on it. A loan amount against property is higher compared to all other loan options. The interest rate under this loan is lower compared to personal loan. The tenure of these type of loan can be higher – 15 years or above. The Loan amount can be received as lump sum or overdraft facility. The Loan amount can be used for any purpose. Easy generation of a fund by utilizing asset lying idle. Interest rates are lower and the loan amount is higher. Tenure is long, which indicates lower EMI. Funds can be used for personal as well as business need. A loan can be taken against self-occupied property and let out property. Ownership of property is not getting transferred it is just a mortgage. Risk of losing property in case you default on a loan payment. You can not avail any tax benefit for principal and interest payment. Income proof is mandatory for this type of loan. This means new business cannot avail this loan. What purpose can I take a loan against property for? LAP loan amount can be used for multiple purposes. You can take this loan for a working capital requirement, to pay for child education, for medical expenses, to finance wedding, to enjoy dream vacation, renovation or repair of a house and for business expansion. Loan against property seems to be lucrative loan option, however, one should consider few important points before availing this loan. First is assess your cash flow and repayment capacity. It should not happen that you take a loan and unable to pay. Default in payment will leads to a penalty and sometime seizure of a property. In addition to repayment capacity also consider following points. You should compare various features such as interest rate, loan amount, loan tenure, processing time, prepayment charges etc. before opting for LAP. Fixed and floating both interest options are offered by a bank. You should compare and carefully decide between fix and floating interest rate. It is recommended to opt for a fixed interest rate. Lump sum or overdraft both facilities are offered by LAP. You have to decide which option to select lump sum or overdraft. If you have partnership firm, you are likely to face a challenge if property ownership is with a single partner. 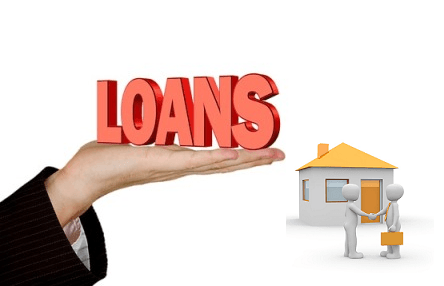 How loan against property is different from personal loan? The key difference between Loan Against Property and Personal Loan is given below. Residential or Commercial property for mortgage is required. No collateral is required for availing a personal loan. Approval time for LAP is longer compared to personal loan. Faster processing and approval. In some cases, approval is given in less than 24 hours. Maximum loan eligibility is determined primarily by the value of the property and income. Maximum loan eligibility is determined based on income documents. A loan amount can be higher based on the valuation of a property. A personal loan amount cannot exceed certain limit. In majority of cases it is 10 Lakh. Should you opt for Loan against property? If you are self-employed and looking for big cash in the emergency, you can consider Loan against property as a loan option. However, if your cash requirement is lower you can go for a personal loan. LAP offers you a lucrative interest rate and longer duration of a loan, but it comes with an inherent risk of property. This type of loan is not advisable if you are doing the business expansion and not sure about future income conditions. In LAP you are taking a big risk of putting your property at stake, especially if it’s your house. Make sure to assess your financial situation carefully before taking any loan.